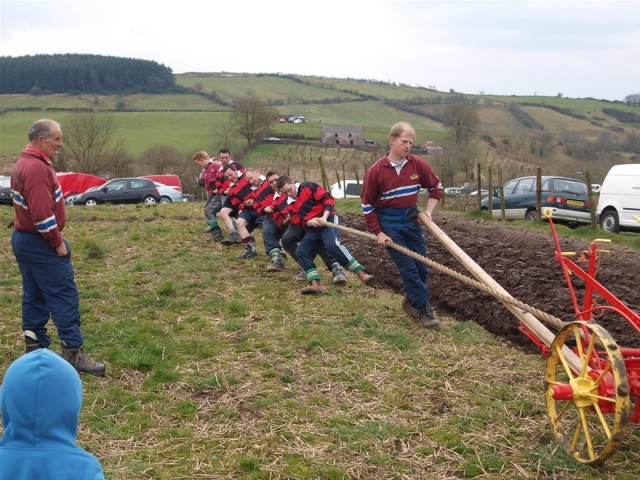 Saturday 27th March 2010 saw the ploughing match taking place on the Ballygawley Road where man pitted himself against the horses and tractors that were taking part in the event. 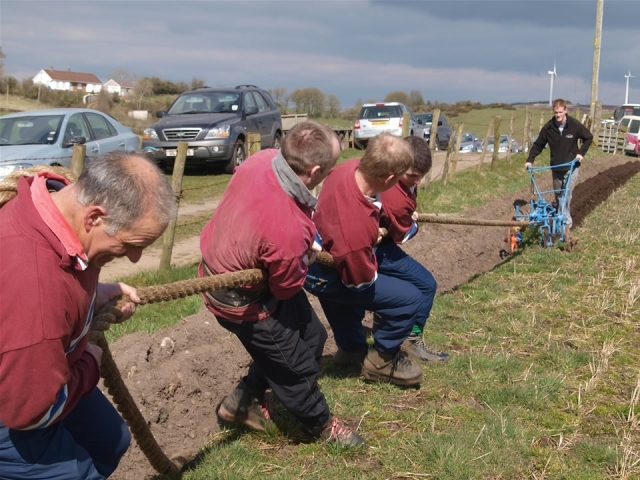 Members from Leos Boys and Binnion yoked themselves into a single and two furrow plough and pitted their strength against the horse and tractors, turning over the sod. 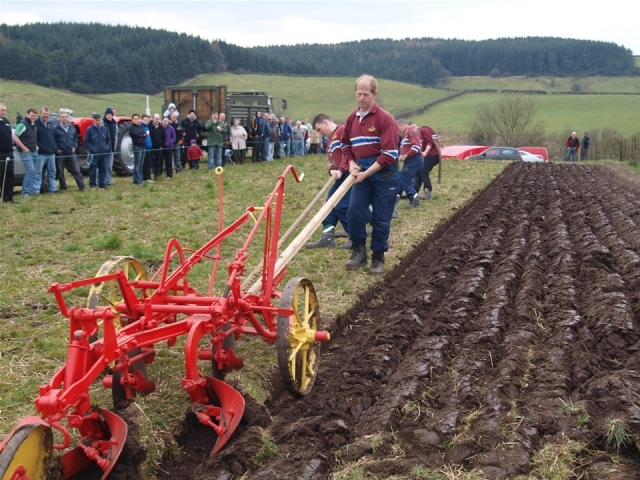 Mark Robinson was given the hard job between the shafts, steering a straight furrow along the riggings at the end of the field whilst other team members put in the hard work in keeping the plough moving. 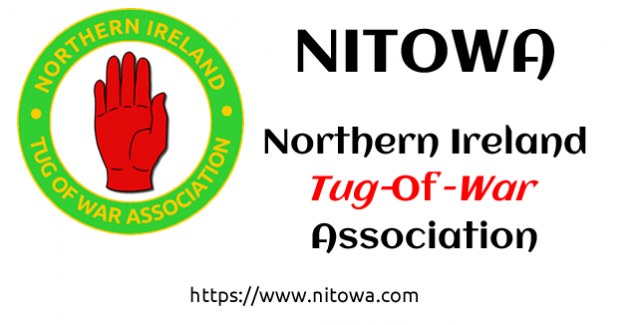 Local farmers have booked the boys to do some tight work on land ends where tractors and horses are no use!! !